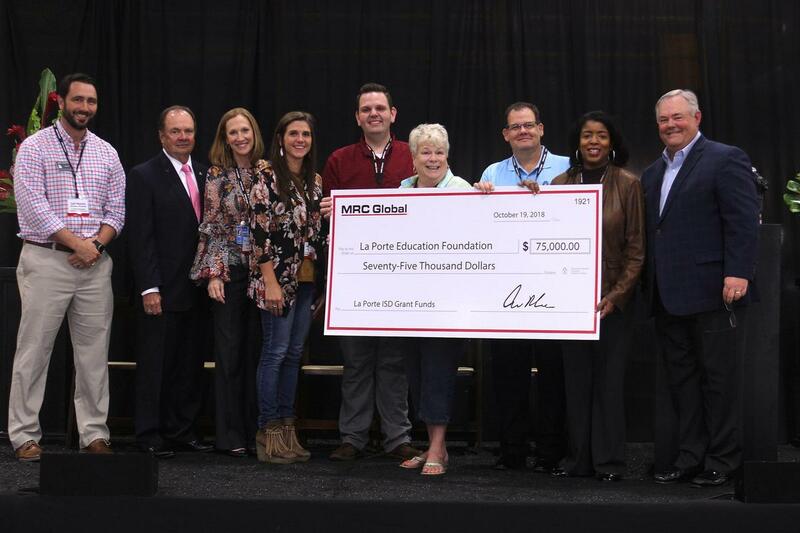 MRC Global’s donation will help the La Porte Education Foundation in its ongoing efforts to make the visions of La Porte ISD teachers and staff a reality by funding grants that bring new innovation and emerging technologies to the classrooms in La Porte ISD. Headquartered in Houston, Texas, MRC Global, is the largest global distributor, based on sales, of pipe, valves and fittings (PVF) and related products and services to the energy industry and supplies these products and services across each of the upstream, midstream and downstream sectors. The Houston Operations Complex at La Porte has 415,00 feet of warehouse space, 78,000 feet of office space, and is home to approximately 350 employees. More information about MRC Global can be found at mrcglobal.com. The mission of the La Porte Education Foundation (LPEF) is to enhance education by funding innovative, creative instructional projects for the students and teachers of the La Porte Independent School District. LPEF is a major resource for providing funding beyond the normal operating budget for educational programs and activities for teachers and students. Through a grant allocations process, funding is awarded to teachers for educational programs or projects that increase student achievement, especially in mathematics and science, and advance new teaching approaches. 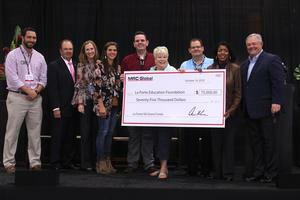 Since 1993, the La Porte Education Foundation has awarded more than $2.1 million in funding for educational projects. To learn more about the La Porte Education Foundation, please visit lpisdef.org.